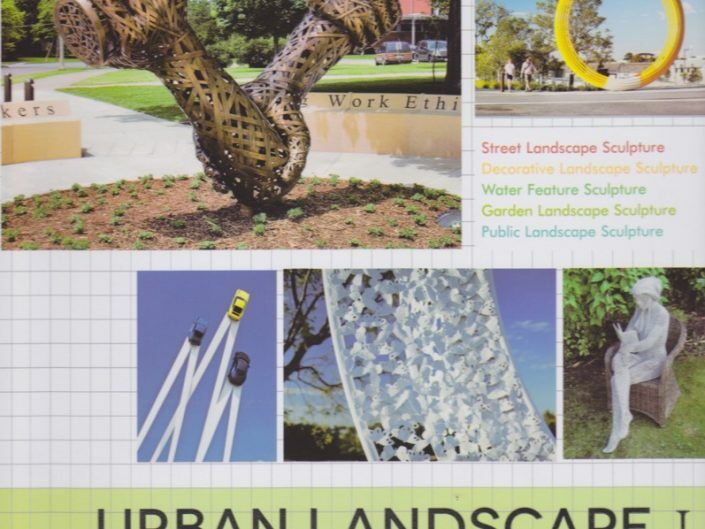 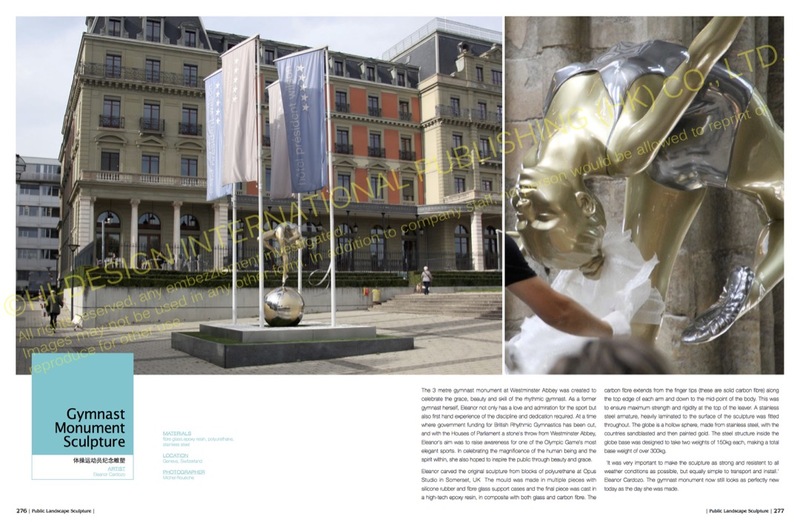 Landscape Sculpture – volume one, is a Hardback book of over 350 pages of monument sculptures in public places around the world, published by Hi-Design Publishing Hong Kong. 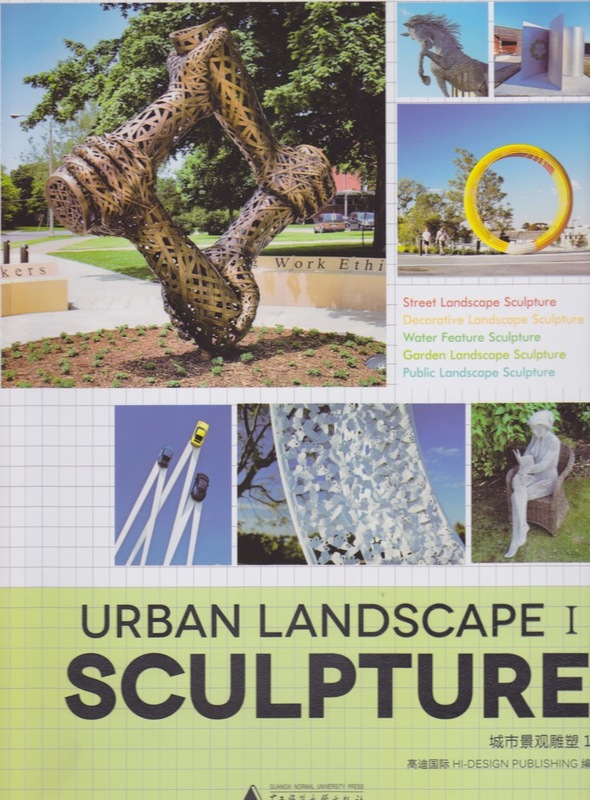 Public Art has become a vital part of the everyday fabric of society and this book celebrates the works of over fifty sculptors who have contributed their art to the Public realm. 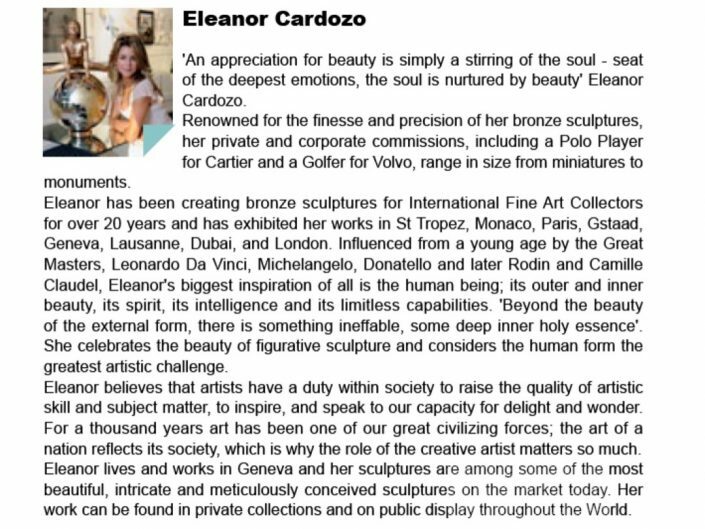 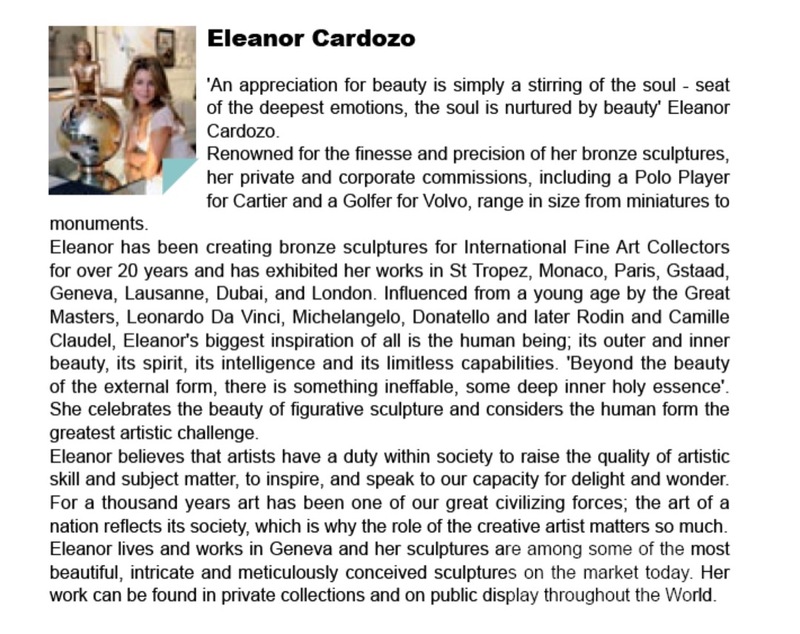 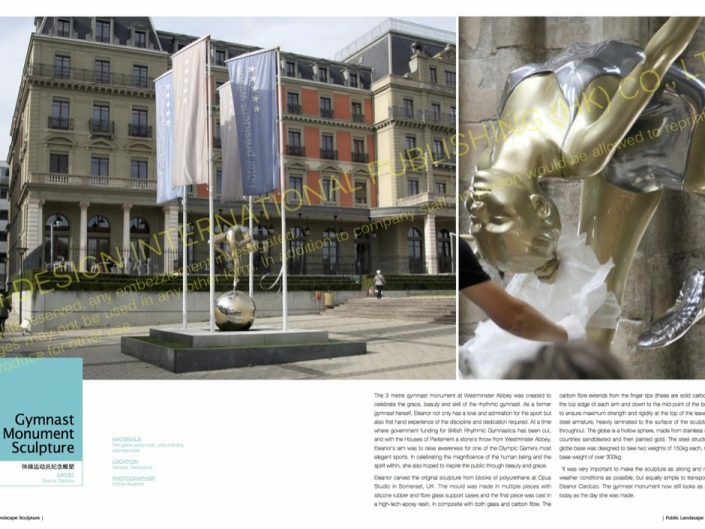 Four pages are dedicated to Cardozo’s 3 metre Olympic gymnast, which showcased at Westminster Abbey during the London 2012 Olympics and now resides at the President Wilson Hotel in Geneva on the shores of Lac Leman.